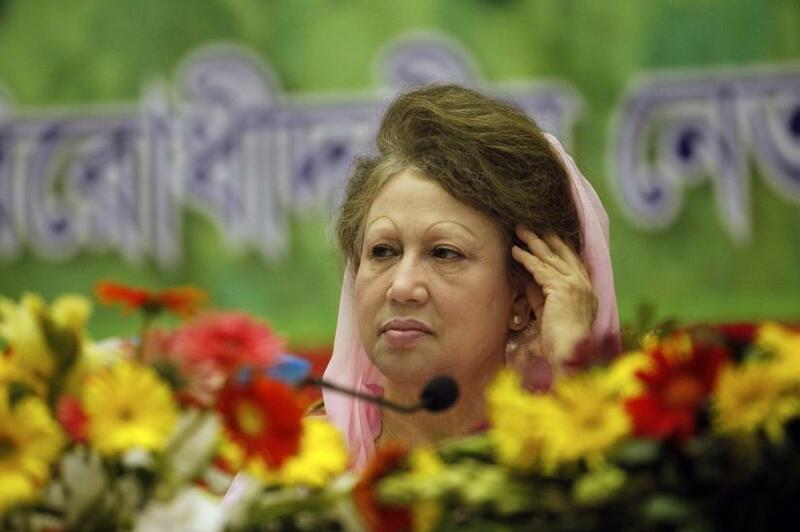 Jailed BNP Chairperson Khaleda Zia has sought the court order to bring her personal physician to jail for treatment. On Tuesday, (Feb 12), Khaleda’s counsel Masum Ahmed Talukdar appealed to the Special Judge Court-9 which is temporarily set up at the old jailhouse premises at the capital's Nazimuddin Road. Talukdar made the appeal after the court closed its hearing on Niko case. “Khaleda was taken to Bangabandhu Sheikh Mujib Medical University (BSMMU) for treatment following an HC order. But, she was taken back to jail before completing her treatment,” he told the court. “At present, her health is not in a good condition and her health issues are on the rise. So, an order should be issued to make arrangement to bring her personal doctors at the jail for her treatment,” Talukdar said. Judge Sheikh Hafizur Rahman of the court then asked Kaleda’s counsel to submit the copy of HC order saying it will ‘give decision’ later. The BNP chief, however, appeared before the court in a wheelchair for Tuesday’s hearing, which lasted for one and a half hour. On Dec 9, 2007, the Anti-Corruption Commission (ACC) filed the graft case with Tejgaon police station accusing Khaleda Zia and 10 others of abusing power by awarding a gas exploration and extraction deal to Canadian company Niko, during her time in office as prime minister. A three-time prime minister Khaleda is already serving a 10 year time for her involvement in the in the Zia Orphanage Trust graft case.